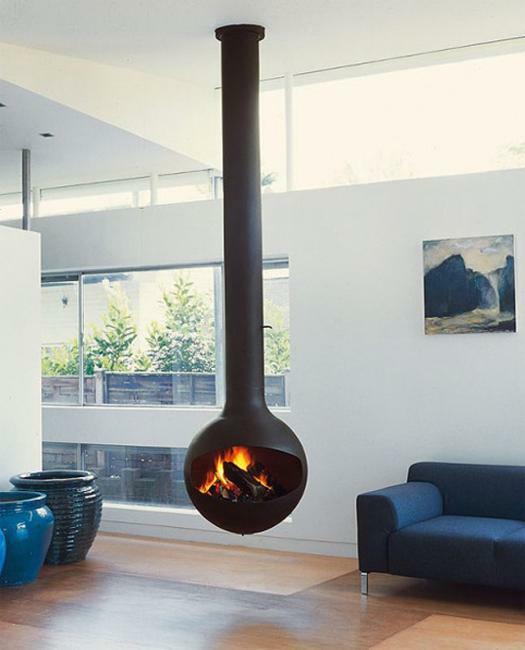 Suspended from a ceiling hanging fireplaces look spectacular. 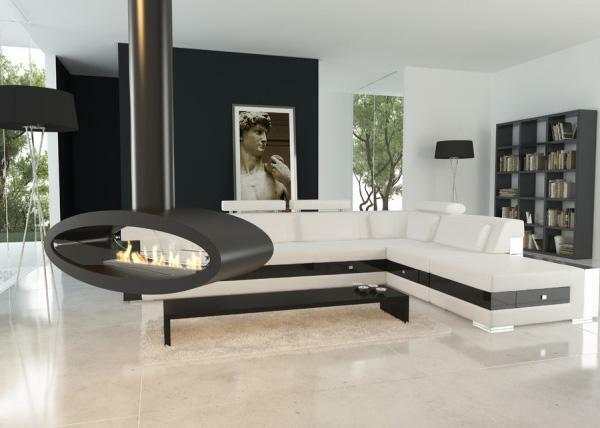 Contemporary fireplace design in minimalist style is a strong trend that bring unusual and impressive modern fireplaces into home interiors. 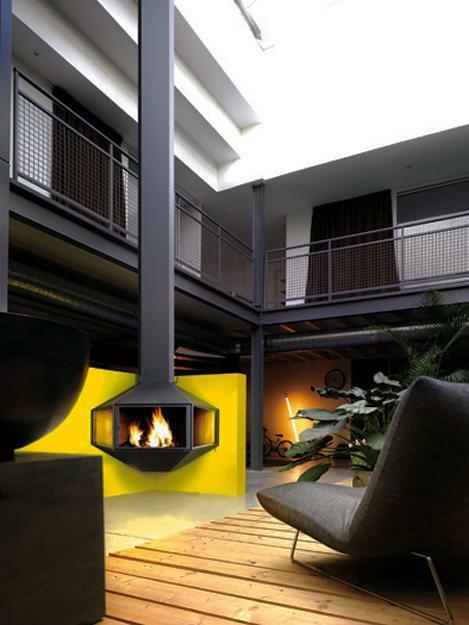 A suspended from a ceiling fireplace does not take valuable floor and wall spaces and adds a creative and stunning accent to contemporary interior design ideas. 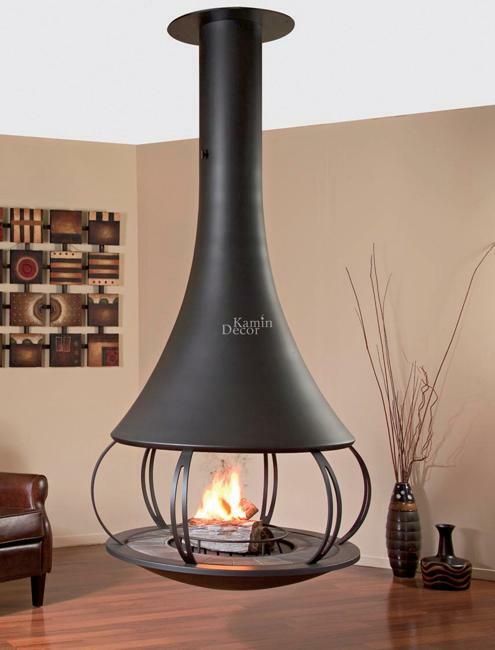 The thing is that it is very expensive to buy a ceiling hanging fireplace or hire a contractor to build one. 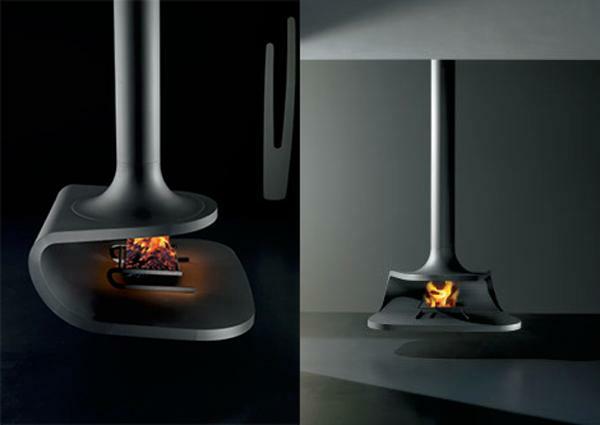 Contemporary fireplace design offers various styles, safe and inexpensive ways to add personality to interior design and decor. 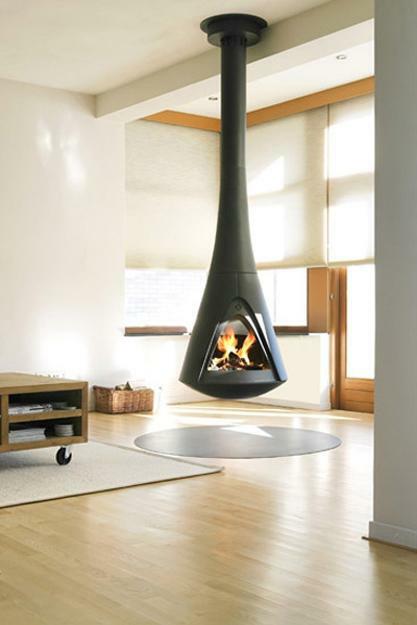 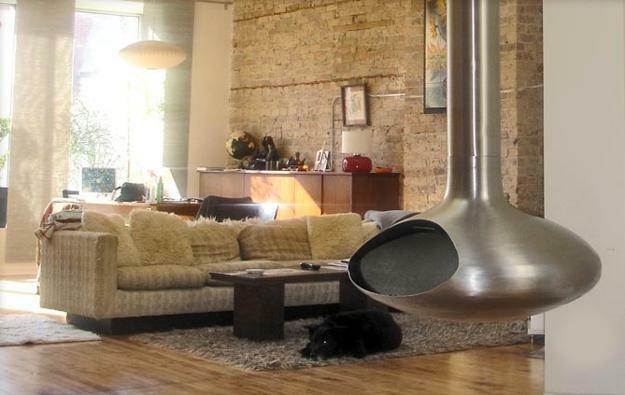 Suspended from a ceiling hanging fireplaces are the exciting, fresh and unusual way to make a statement. 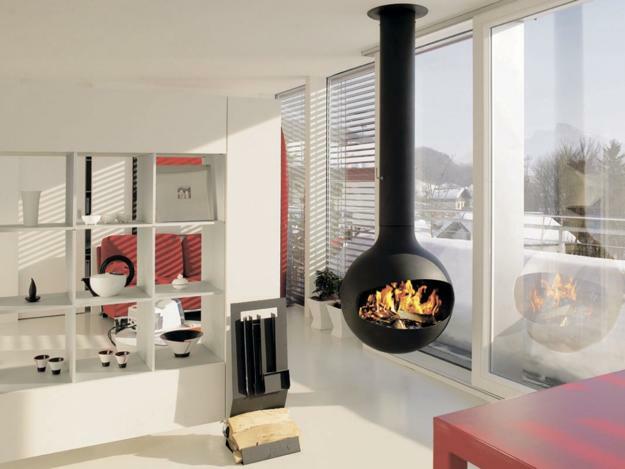 Hanging fireplace designs are great looking contemporary feature that add character to your home interior design. 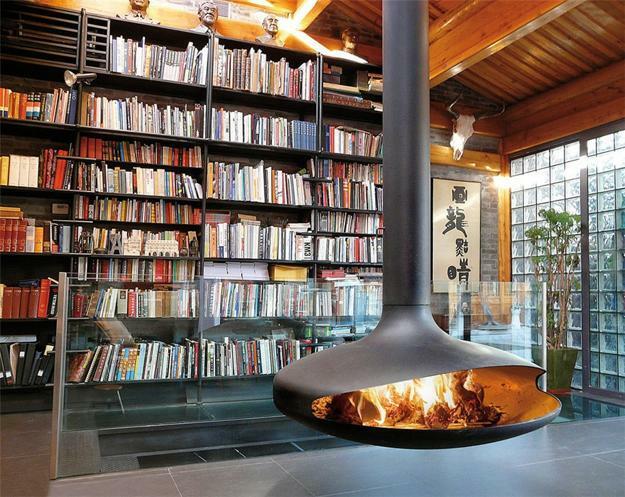 It can be a hazard if it is not properly secure. 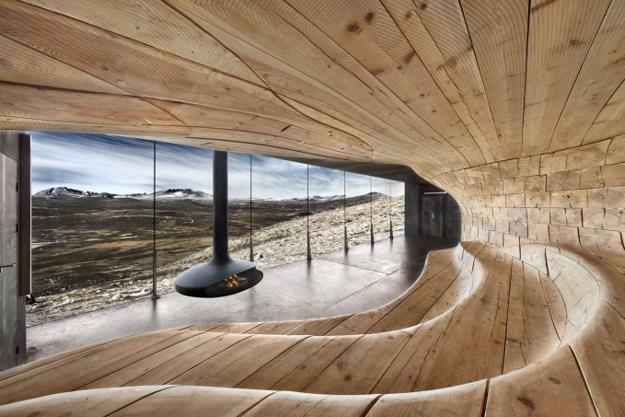 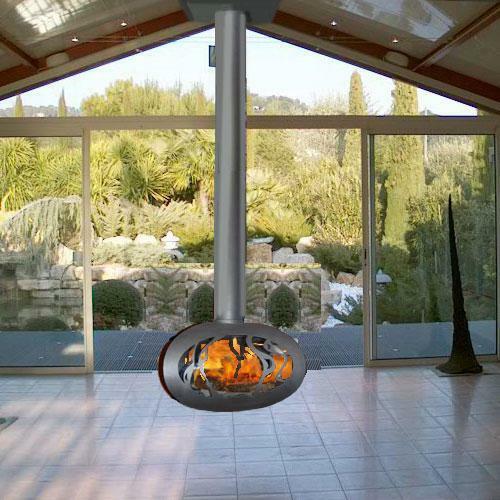 A suspended from a ceiling fireplace which is hanging in the middle of the room is safe, beautiful and pleasant if the structure is solid and strong. 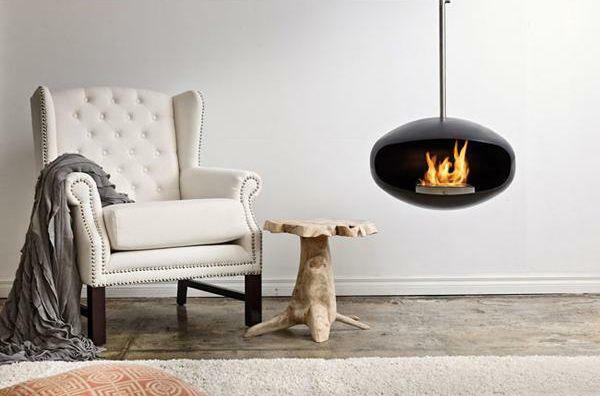 Suspended from a ceiling hanging fireplaces are created in various shapes, like oysters, helmets or flying saucers. 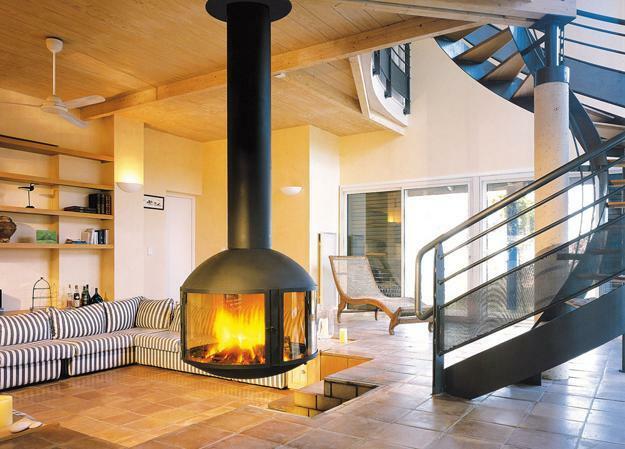 Hanging fireplace design ideas are very original, stunning and extravagant. 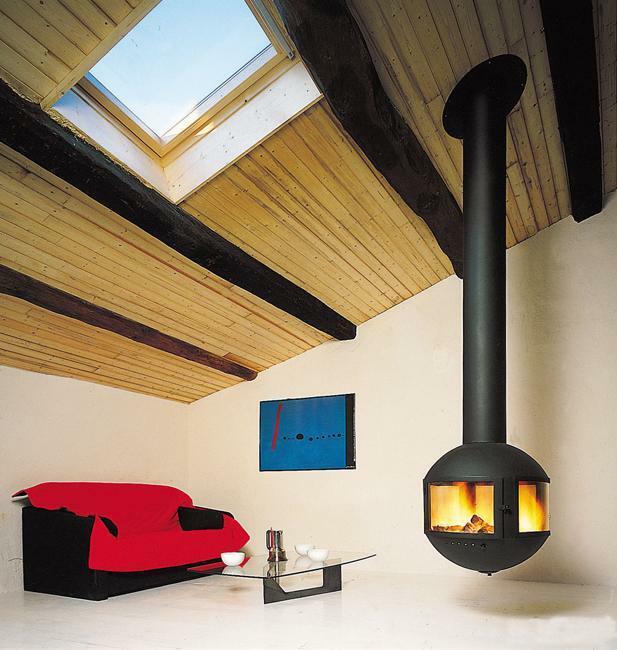 The first hanging fireplace was designed in 1967 in the Atelier Dominique Imber, France and became the luxurious and classy design for modern interior design. 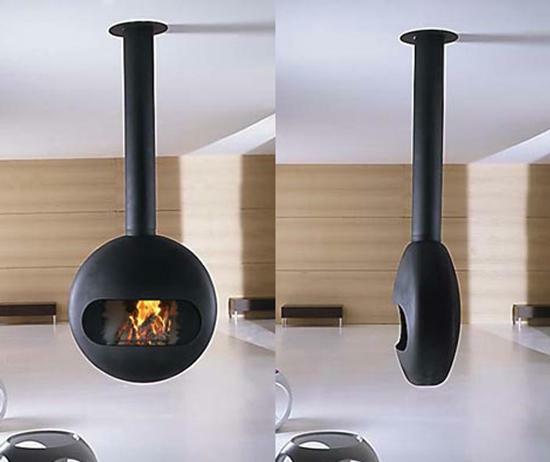 Beautiful suspended from a ceiling hanging fireplaces Gyrofocus were made by French company FOCUS later. 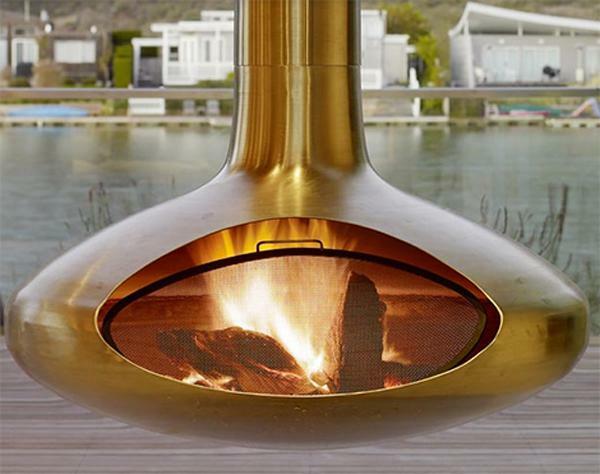 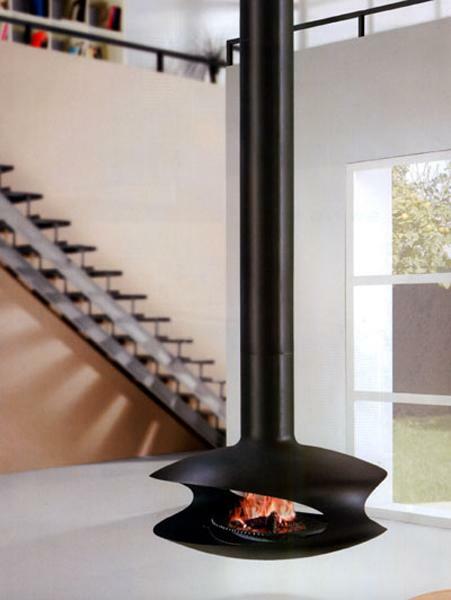 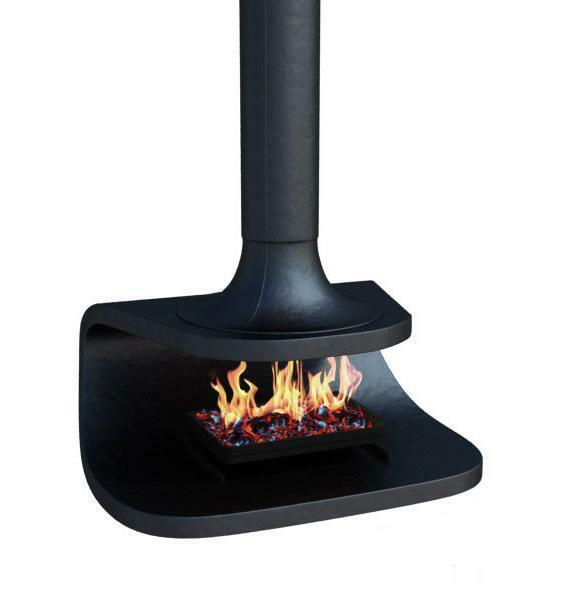 This model was the first rotating hanging fireplace design. 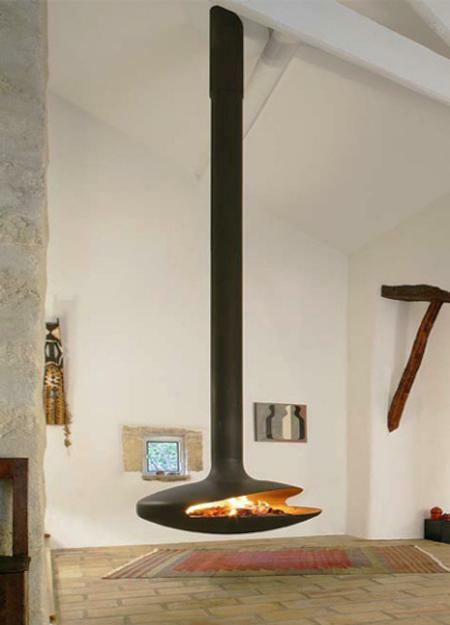 Suspended from a ceiling fireplaces continue to earn rewards for beautiful look and functionality. 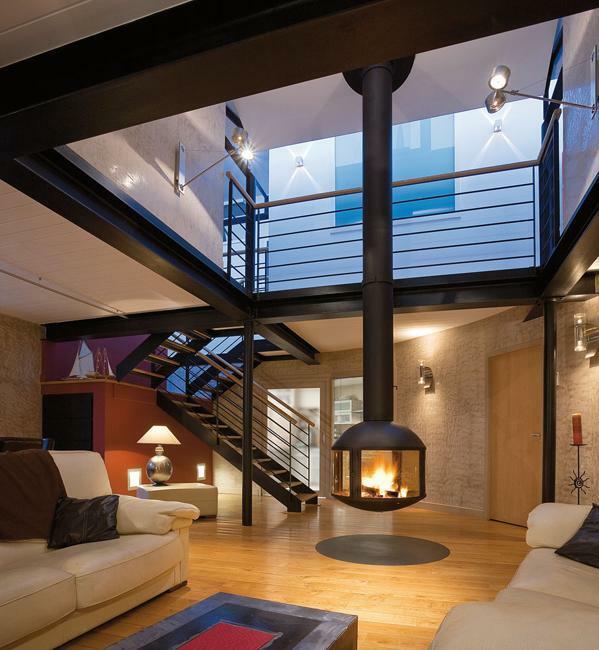 Without a doubt, suspended from a ceiling fireplaces create eye-catching focal points for contemporary interior design and transform architectural interiors. 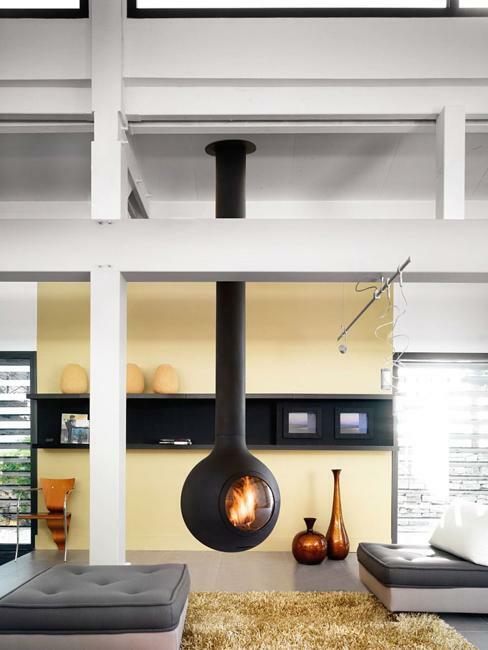 Perfect for urban lofts and bungalows, these gorgeous hanging fireplace designs look fabulous in cottages and modern houses. 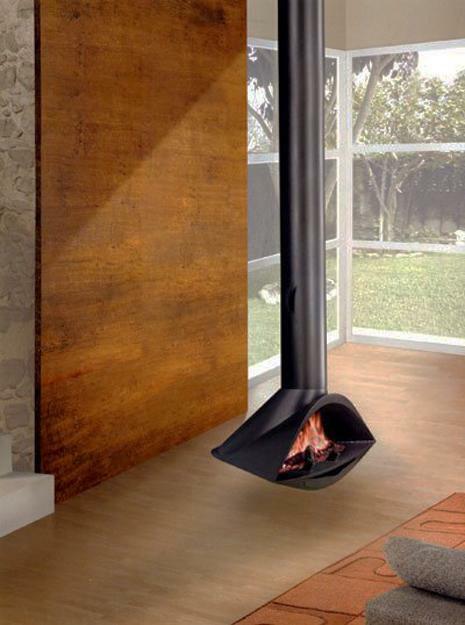 Suspended from a ceiling wood-burning fireplace Ovalie is open on two sides, making it ideal for mounting in the center of the room and creating a cozy seating area around the hanging fireplace. 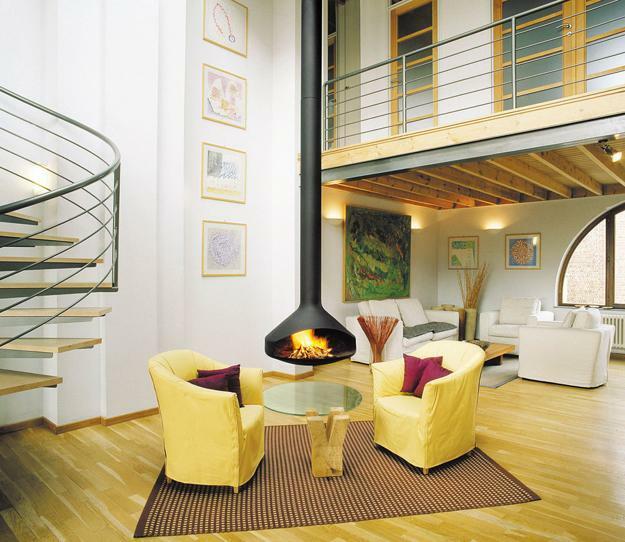 Bubble-shaped suspended from a ceiling fireplaces can be mounted in the center of a room or in a corner. 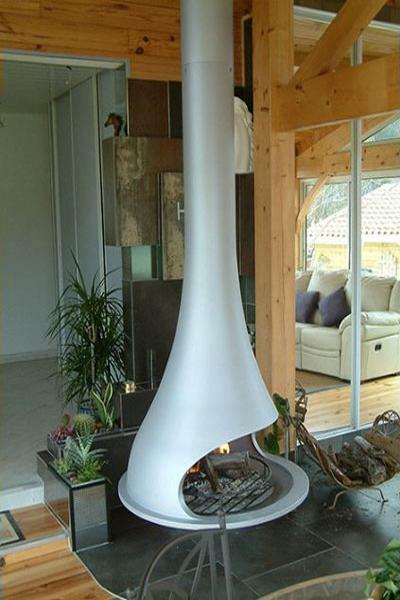 Amazing shapes and curvy lines are combined with delicate hanging fireplace designs and functionality and create fantastic centerpieces for contemporary interior decorating with a cozy and warm atmosphere. 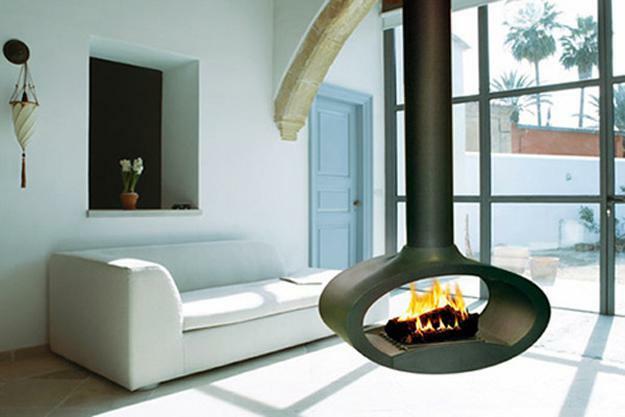 Among a variety of types, styles and shapes of fireplace designs, hanging fireplaces present innovative and exclusive features that add class and chic to contemporary design and decor and create fabulous rooms that are interesting, comfortable, fresh and creative.